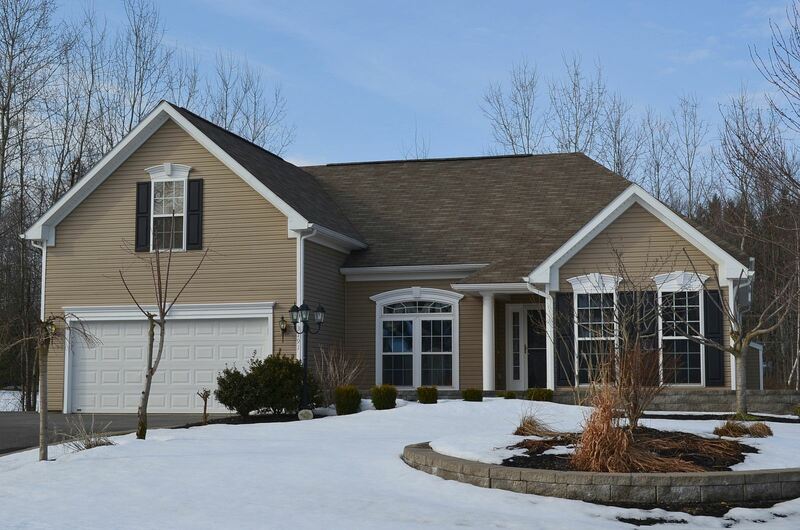 Baldwinsville NY Neighborhood - This Beautiful home built in 2006 is located in the popular "Fairways North" neighborhood. This home is centrally located to schools, parks, shopping, major highways, Seneca River, and great access to everything Baldwinsville has to offer. First Floor Features - The main living area features an open gourmet kitchen with granite counters and hardwood floors, a sun room to enjoy your morning breakfast, a family room with a gas fireplace and stunning black laminate floors, a formal dining room, 2 spacious bedrooms, a full bath, a laundry room, and a gracious master bedroom with a tray ceiling and a master bath. Second Floor Features - The second level provides a huge bonus room, a 4th bedroom, and a full bath.The second level provides a huge bonus room, a 4th bedroom, and a full bath. Exterior - The exterior offers a manageable and private birch tree lined lot, a 2 car garage, a deck for outdoor entertaining, an expansive driveway, professional landscaping complete with new retaining walls and a stampcrete concrete front patio and walkway to the basement. Basement Features - The fully finished walk out basement offers an additional living space complete with a full bath, a 5th bedroom option, a large entertainment area, and French doors that lead to the backyard.